Capacitar recently inaugurated its first training in Aachen with 38 men and women coming from different areas of Germany, Luxembourg and other parts of Europe. 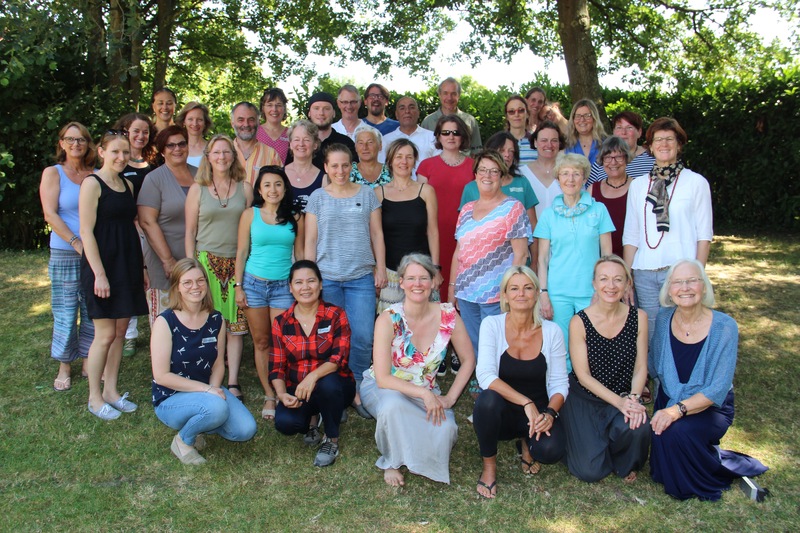 The training is being sponsored by Missio and the Diocese of Aachen under the leadership of Anke Reermann, who coordinates pastoral and school educational programs. Many of the participants work with refugees and immigrants in their communities. Currently over one million refugees and immigrants live in Germany (with a population of 68 million) and 25,000 in Luxembourg (with a population of 590,000). The training, facilitated by Capacitar Founder Pat Cane, brought together a great diversity of backgrounds and cultures. Participants included: university students and a professor of social work; program personnel from Missio, Caritas, Aachen Diocese, and Miserior who offer outreach to refugees as well as support projects in countries in Asia, Africa and Latin America; local volunteers working with refugees through their churches; teachers working with children and youth who have learning and emotional disabilities; and psychologists and therapists. An international team of the Luxembourg nonprofit KORU represented 4 countries—Iraq, Mexico, Romania and the UK. Other participants were from Argentina and Brazil. Many valuable exchanges took place among participants as they shared their experiences and reflections. Capacitar materials are currently being translated into German and other languages to make these accessible to refugees. In 2019, the Capacitar 4-module training will also be offered in East Germany (Leipzig) coordinated by 4 dioceses in the region.